Item # 297077 Stash Points: 1,995 (?) This is the number of points you get in The Zumiez Stash for purchasing this item. Stash points are redeemable for exclusive rewards only available to Zumiez Stash members. To redeem your points check out the rewards catalog on thestash.zumiez.com. For a delicate addition to your casual style, the Rosebud 5 panel hat from Empyre has you covered. 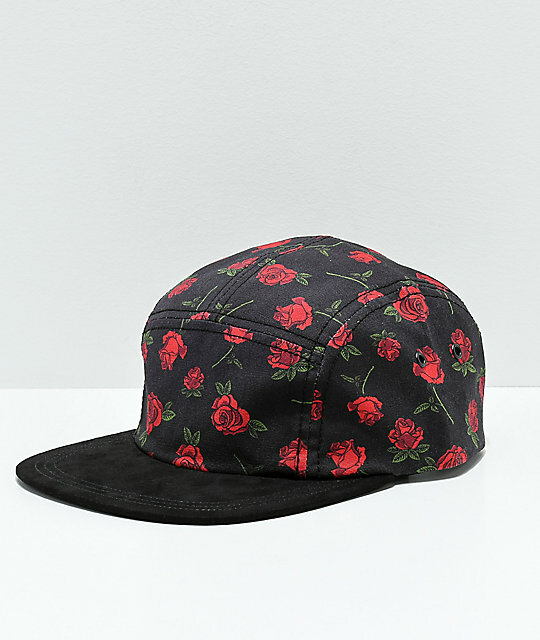 This dad hat features a flat, faux suede bill, black panels with stemmed roses printed throughout and is finished with a faux leather strapback sizing piece for a custom fit. Rosebud Black 5 Panel Hat from Empyre. 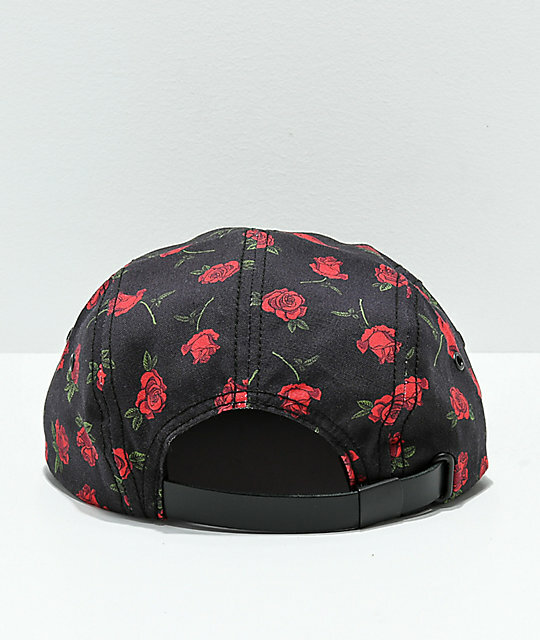 Unstructured five panel crown with roses printed throughout.